We review the placements of your ATM devices to analyze the feasibility of the location, the usage and the costs associated with each location. We then examine your customer/member base to optimize your ATM locations for the most effective customer/member coverage considering traffic patterns for work and shopping. Typically, standalone ATMs and Drive-thru locations are usually deployed as service assets for the convenience of the existing customer base when that base is located in areas of a community or county that is not served by a retail branch office. ATMs and Drive-thru venues can be a misuse of operating dollars when the need is unjustified. 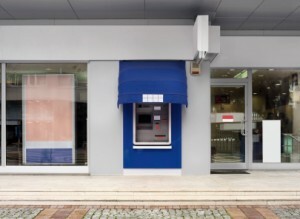 The Lancaster Group can evaluate the need for any existing free-standing ATM and/or drive-thru facility based on transaction demand and distance from other service venues and make appropriate recommendations for retention of the facilities, merger or relocation of those facilities, or if justified closure. Operational costs versus any revenues collected are also factored into the equation.